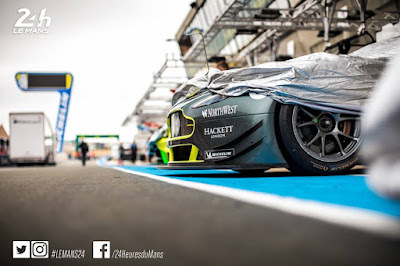 With the cars and some of the team being in France for nearly a week already, the final checks are now being put into place ahead of Sunday's Official Test day at the Circuit de Le Sarthe ready for the 24 Hours of Le Mans itself in just two weeks time. 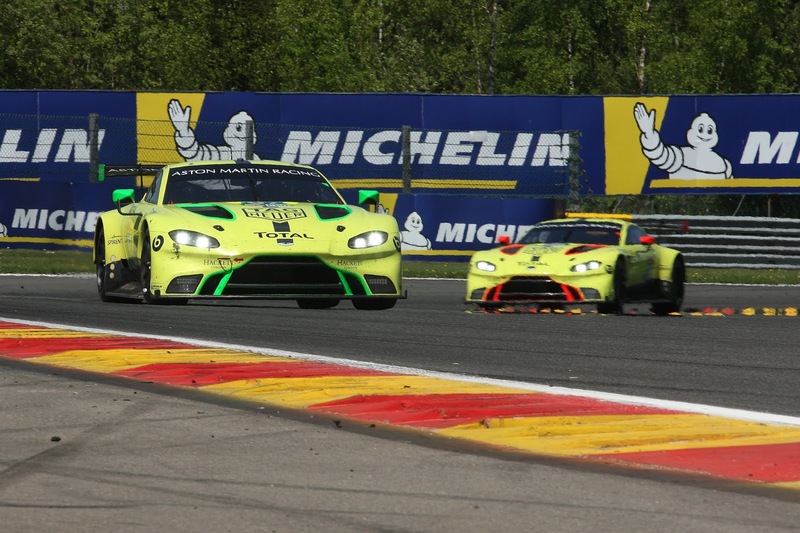 With two GTE Pro and two GTE Am Aston Martin Racing cars making the pilgrimage this year, all will face a highly competitive battle for the top honours of their respective class as seventeen cars make up the top flight entry in the GTE Pro class and thirteen cars in the Am class. We already heard that both the #97 Pro car and the #98 Am car have had engine and gearbox replacements ahead of the test (component life limit changes) and those two cars had a brief shakedown test at Snetterton last week ahead of their journey down to the circuit over last weekend. 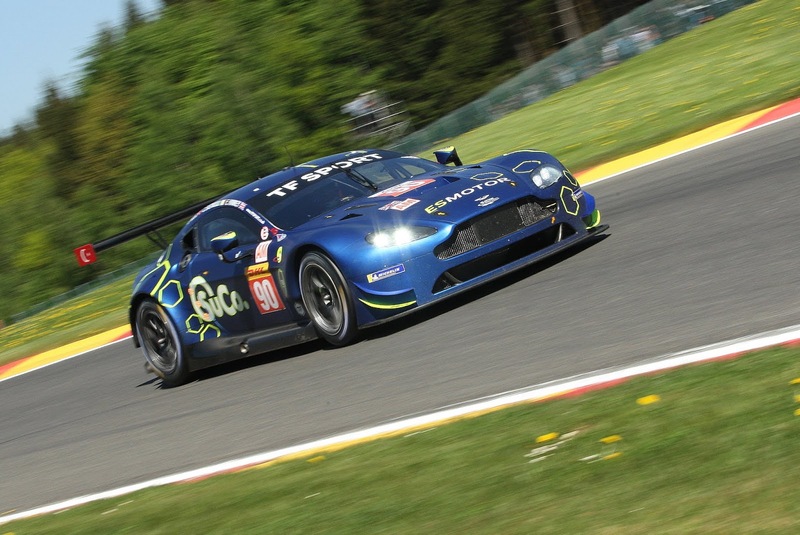 Again featuring its own bespoke Balance of Performance criteria to that of the World Endurance Championship's 'Auto-bop' system, the release of BoP data show only marginal changes to all GTE cars since Spa and mainly in base weight. 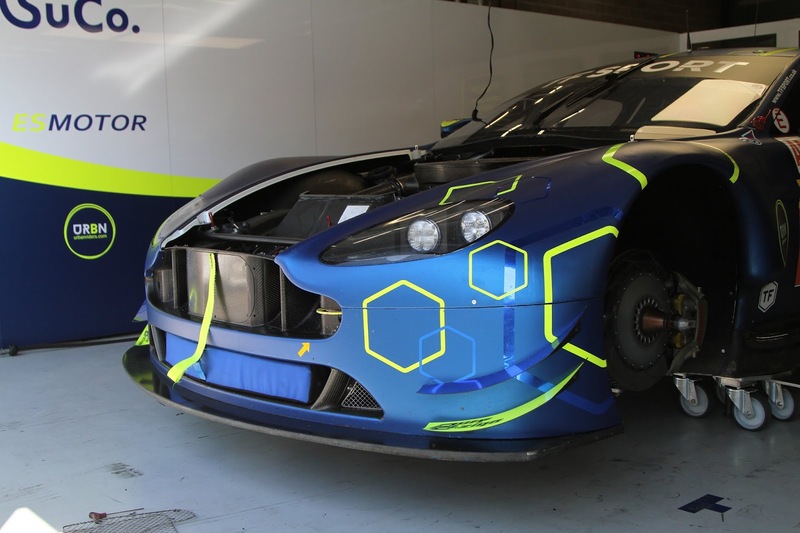 The most change comes in GTE Am where the V8 Vantage GTE has seen a weight increase air restrictor decrease but a larger fuel tank. Any significant changes or adjustments will come after the test, ready for the start of the 24H weekend itself. This years Le Mans 24Hour will of course be the final time that we will see the venerable V8 as both GTE Am runners are expected to switch to the new turbo charged car at the end of the year. 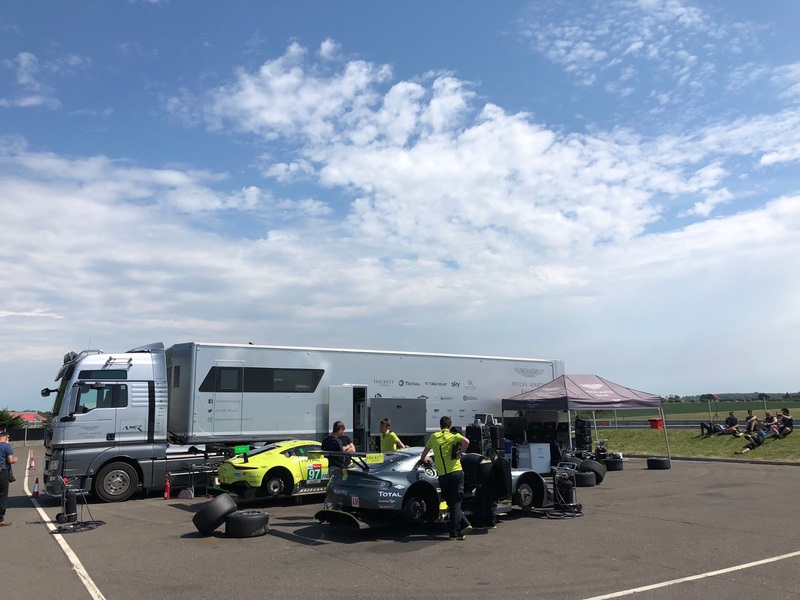 All drivers are also expected to attend, those racing in the Blancpain GT Series at Paul Ricard tomorrow (Nicki Thiim, Maxime Martin, Salih Yoluc, Euan Hankey and Charlie Eastwood) are all expected to travel to the circuit from southern France overnight on Saturday. The three factory run cars (#95,#97 and #98) as well as the TF Sport entered #90 car were submitted for Test Day Scrutinteering yesterday so in the absence of any further alterations to the cars they will be good to go for Sunday morning. For those lucky enough to be over in Le Mans there will be a number of pit lane autograph sessions as well as being able to watch the teams at work. Testing will begin at 09:00Hrs local for the first 4 hour session before the second and final four hour test session after lunch. 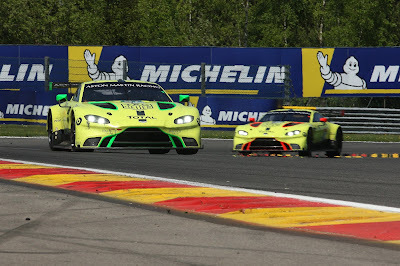 We understand that after Sunday's test the AMR team will resume testing on the circuit's Bugatti track layout ahead of next weeks proceedings.